How is that new Duquesne beer? 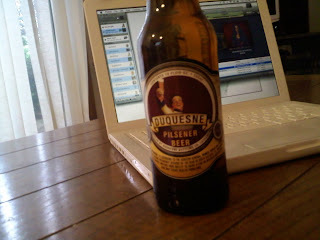 For most of the 1900s, up until 1972, Duquesne beer was brewed in the South Side. Recently, Mark Dudash, an attorney, has decided to bring Duquesne beer back and brew it in Latrobe. Here it is. It's new. Now let's get the FAQ off the table. 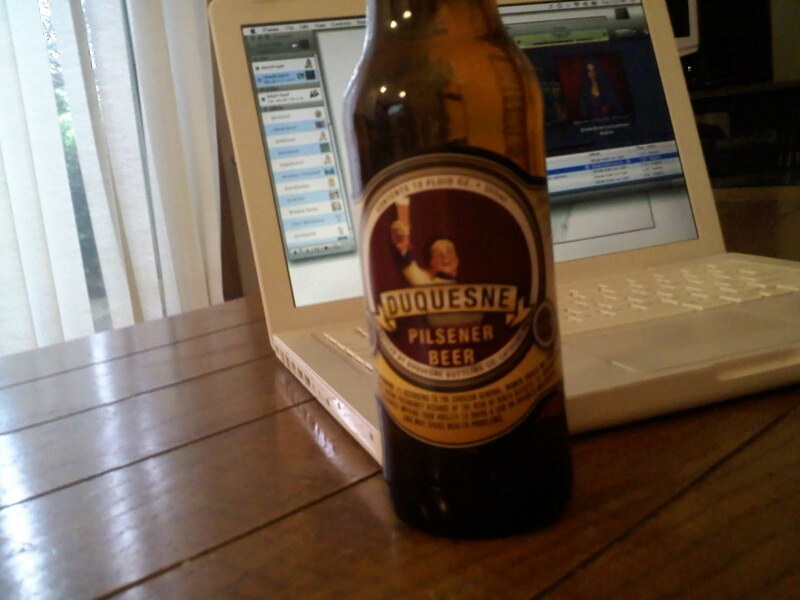 Q: What percentage alcohol by volume is Duquesne Pilsner? A: I don't know. It doesn't say anything on the bottle. Q: Is the Duke still on the bottle? / Is he still as awesome as he used to be? A: Yes (featured above) / Probably not (refer generally: Google Images). Q: Is Mark Dudash a DUI attorney? A: I don't know, but you're right, that would be ironic. 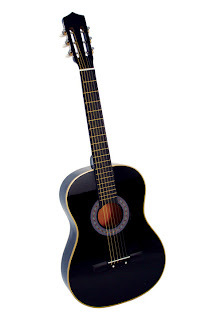 As for the taste, I have recorded a short video where I describe the intricacies in detail. this totally is relevant to that mosque debacle. NICE JOB ON PICKING YOUR TAG. is this a good beer? Clearly you haven't watched the video. I WATCHED THE 11 SECONDS OF IT, YOU SAY NOTHING AND MAKE NOISES AND FACIAL MOVEMENTS. I don't make noises. Also, the problem is that I couldn't figure out how to flip the video. I thought the beer was good. Tasted decent and I was able to achieve a nice buzz. I've bought two cases already and will get more once it is available.